Well into feminism’s second generation, there are finally a significant number of women reaching parity with the men in their fields — not to mention surpassing them — and winning the salary, bonuses, and perks that signify their arrival. Yet this proud professional achievement often seems to have unhappy consequences at home. For women, the shift in economic power gives them new choices, not least among them the ability to reappraise their partner. And husbands, for their part, may find to their chagrin that being financially dependent isn’t exactly a turn-on. How secure does a man feel? When the woman earns more, we can’t assume in our culture it’s a nonevent. We’re a long way off from a world where it doesn’t affect the relationship. According to psychologists (and divorce lawyers) who see couples struggling with such changes, many relationships follow the same pattern. First, the wife starts to lose respect for her husband, then he begins to feel emasculated, and then relationship dwindles to a full stop. If you are already in such situation, learn how to recover relationships. So what are breadwinning women to do? What is the decision to take couples to save their relationship? Being heard without judgment or criticism can deepen your connection particularly during difficult times. Appreciate that your husband may experience a period of grieving after a loss of a job and earnings that are connected to his identity, self-esteem and sense of success. Convey a positive attitude and sense of teamwork showing that you’re in this together. A woman often feels like she has to play down her own economic contributions to the household while offering her husband reassurances that she value his masculinity. 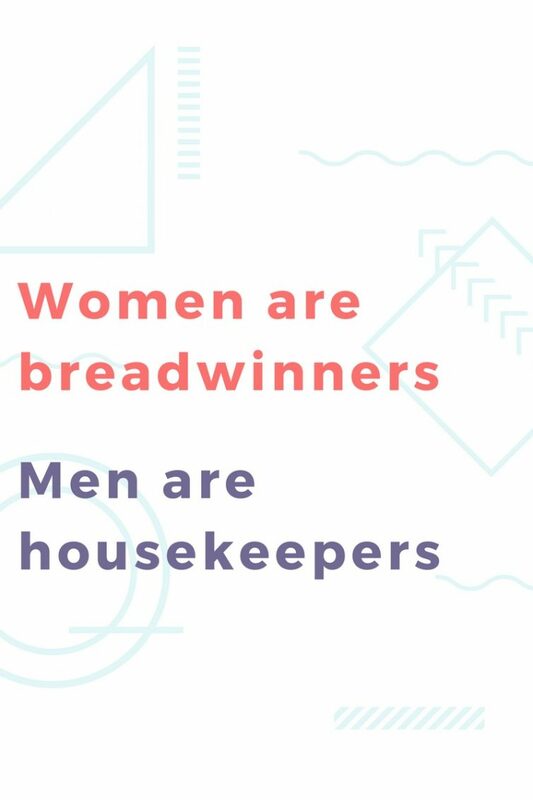 You should be proud of your accomplishments and accept that it’s fine to be the breadwinner. Money management is more an emotional issue than a logical one. It’s important to establish a family financial structure that’s appropriate for your situation, one that’s fair and equitable to both partners. For some, that means joint finances. For others, that means separate finances. Financial chores should be divided up based on each partner’s strengths. Maintaining respect for what both of you are doing and how you’re each contributing to the marriage will help you function as a team. Remember, there’s a lot more to a marriage than just financial support. Emotional support is essential, too. Couples need to realize that it doesn’t really matter in the end who makes more money. What’s important is working together to meet the needs of their families. Kids change everything. Most people realize this, of course, but many people fail to plan sufficiently for the challenges of children. Again, both partners should negotiate roles appropriate to their skill sets. And both partners need to be flexible and willing to compromise as you make it all work. Finally, remember that your ultimate goal is happiness. Do what you need to obtain it. Get help when you need help. Don’t let the haters get you down. Do what’s best for your relationship. I am also writing to make you know of the superb discovery my cousin’s child had checking yuor web blog. She figured out numerous things, which included what it is like to have a very effective helping mindset to have others with no trouble know specified tortuous matters. You actually exceeded my desires. Many thanks for giving these necessary, healthy, edifying and as well as fun guidance on your topic to Evelyn. I would like to express some appreciation to you just for rescuing me from this matter. After surfing throughout the search engines and finding advice that were not helpful, I was thinking my entire life was gone. Being alive minus the solutions to the problems you have solved as a result of this website is a crucial case, and the kind that might have negatively affected my entire career if I hadn’t encountered your blog post. Your own capability and kindness in taking care of all the details was valuable. I am not sure what I would have done if I had not come upon such a step like this. I’m able to at this point look ahead to my future. Thanks a lot very much for the skilled and results-oriented help. I won’t think twice to refer your web site to anybody who should get support about this subject. I have to express my appreciation to you for rescuing me from this particular challenge. Because of looking throughout the the web and coming across proposals that were not beneficial, I figured my life was well over. Living minus the solutions to the issues you’ve fixed by way of the guideline is a crucial case, and those that could have in a wrong way damaged my career if I hadn’t discovered your blog post. Your good competence and kindness in playing with the whole lot was very useful. I am not sure what I would have done if I hadn’t come across such a thing like this. I am able to now look forward to my future. Thanks a lot very much for this expert and amazing help. I won’t hesitate to propose your site to any individual who would like support on this matter.